Today is National Dog Day, which means your Facebook feed is probably full of your friends' photos of them with their favorite pet. Awwwwwwww. 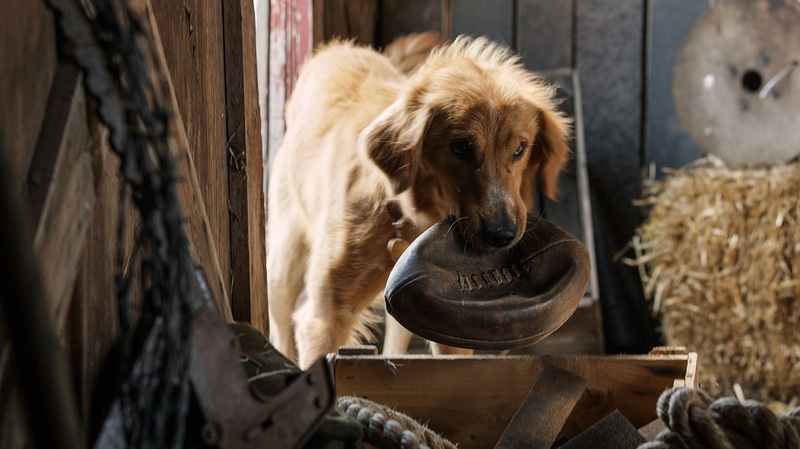 Universal has taken the holiday and used it as the launching pad for their upcoming film, A Dog's Purpose, which is squarely targeting those who see Fido as part of the family. Appropriately directed by My Life As a Dog's Lasse Hallstrom, this confectionery canine drama tells the story of a dog who is repeatedly reincarnated into different forms, changing the lives of the humans he comes into contact with. Josh Gad voices the pup (Bradley Cooper was on board initially) with Dennis Quaid, Britt Robertson, John Ortiz, K.J. Apa, Pooch Hall, Luke Kirby, and more co-starring. Personally I find the idea of a reincarnated pooch a little disturbing, but then I'm not much of a dog person. A Dog's Purpose opens January 27th 2017.